Avalon Airport 15th - March Airshow will unveil the shape of things to come. Featuring the latest military heavy metal from home and abroad, attack helicopters, heavy lift and combat support aircraft as well as a vast array of civil and commercial aircraft. Antique aircraft, historic replicas, vintage war birds, pioneers of the jet age and classics from the 1940's and 50's. With its combination of fast straights ­ over 300 km/h on Gardner, going into Doohan Corner at Turn One and sweeping corners, plus such technicalities as two first-gear right-handers, the Island circuit's four-and-a-half kilometres have a touch of everything. What the world's other tracks don't have, though, is the spectacular Bass Strait backdrop against which the world's best riders make an awesome sight as they soar over Southern Loop as they make their way up to Lukey Heights. Spicing up the Melbourne race in 2004 will be a newly-straightened pit lane entry, an increase in the pit lane speed limit from 80 to 100kmh, and moves to speed up refuelling – all of which make three pit stops viable for the F1 teams and will add to the excitement and intrigue for fans. V8 Supercars will play a more prominent role in the 2004 Grand Prix too, with a new, longer race – the Netspace V8 Supercar GP100 – and a Top 10 qualifying shootout. Was established in 1997 as a combined initiative of the Australian fashion and retail industry, the State Government of Victoria and the City of Melbourne. The Festival launches collections of Australia’s leading fashion designers, labels and fashion retailers in a series of sophisticated and spectacular fashions shows. From Sunday to Sunday people flock to the catwalks, parties, exhibitions, business and fashion industry events, all over Melbourne. The Lygon Street Festa has played a significant role in highlighting and popularising Italian contemporary icons and traditional Italian culture. It continues to cultivate and celebrate Italian arts and culture, which contribute to enriching the Australian way of life and its reputation as a harmonious multicultural society. Melbourne is a city with a worldwide reputation for its fanatical following of sport. Its history of staging major sporting events is testimony to the high standards of its venues and the enthusiasm of the population who support events in great numbers. The people of the State of Victoria are justifiably proud that their capital city has been awarded the honour of hosting the XVIII Commonwealth Games in 2006. It's the race that stops a nation, people from all around Australia stop for the spring carnival. They engage in betting on the Australia spring carnival and it is also a huge part in the Australian racing history. Held at the Flemington race track in Melbourne and organised by the VRC the Melbourne Cup is definitely a horse racing bookies dream. I promise that your senses will be stimulated as we traverse the myriad of cinema cultures and their filmmakers. Make your Oz holiday unforgettable by getting yourself to Australia's BIGGEST Art Party - The Melbourne Fringe Festival. Melbourne Fringe is offering great deals and discounts to Backpackers heading to Melbourne between 26 September and 12 October. Is now Australia's most popular and dynamic annual arts festival featuring a high profile line up of cabaret, theatre, stand-up, live radio broadcasts, television, music, a Comedy Short Film Festival, free outdoor entertainment and visual art exhibitions. In 2003 the Festival attracted an audience of over 383,000 and the Festival program listed an enormous 230 individual shows, staged over 2,800 performances making it one of the three largest comedy festivals in the world together with Montreal and Edinburgh. Melbourne's premier music event, the MIMBF sets to be a bigger and better festival than last year: Visitors are guaranteed a memorable experience with the fabulous line up of artists performing on three stages each day. 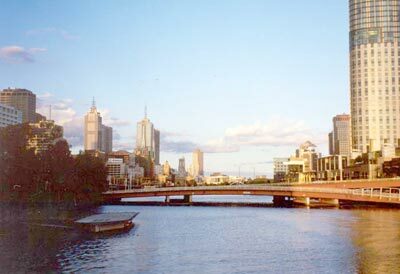 One stage will be positioned in the parklands on the banks of the Yarra, with the skyline of Melbourne as a backdrop. Another stage and blues bar showcasing the best acoustic performances will be inside the MEC. The Age Melbourne Writers’ Festival is, quite simply, Australia’s largest and highest profile literary event. Taking place in August each year, the festival’s aim is to showcase the art talent of the writer and to expand and enhance the experience of the reader. Midsumma is Melbourne's premier gay & lesbian arts and cultural organisation that presents annual events and festivals including Midwinta, Sprung, WhiteOUT!, Team Melbourne and of course Midsumma, by the community, and for the community. Inferno... Sizzling Circus! The National Institute of Circus Arts presents Inferno with over 60 of Australia's hottest new circus talents. Has been a signature event in Melbourne since 1848, when it started as a ploughing competition in Moonee Ponds. Organised by the Royal Agricultural Society of Victoria (RAS), The Show is Victoria's largest and longest running annual public entertainment event. It is iconic in its own right, attracting around half a million visitors each year, and has been a highlight of Victoria's event calendar for over 150 years - the last 120 at the Ascot Vale site. Taste, savour and critique Award winning entries from the Royal Melbourne Wine Show. Enjoy live jazz and Australian cheese platters or simply relax and enjoy a selection of the 4300 + reds, whites, sparkling and ports.